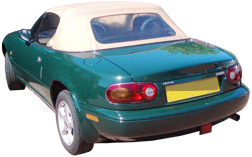 We offer a full service for repair and replacement of convertible hoods for main dealers, specialist garages, insurance companies and, of course, a personalised service for individual car owners. 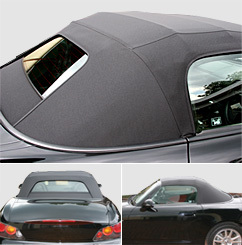 Excellent quality Original Specification or Manufacturers' hoods supplied and fitted with guarantee. Hoods and Tonneaux supplied and fitted or bespoke made by our experienced technicians. We offer a proper Hood Fitting Service, including free frame check and water testing. We can also repair or fit any necessary replacement parts, e.g. frames, hydraulics, etc. If you are having trouble with your hood, we will advise whether a repair can be carried out and the most cost-effective way to proceed. Our experienced technicians can often solve a problem without resorting to costly replacement. Obviously, it is better if you can pop in to see us with your car but telephone or email advice may well be possible if you can describe your fault. © J. Mussell & Son 2007. All rights reserved.